An inuksuk (ee-nook-sook) is a stone landmark that guides travelers. Traditionally, Inuit people in the Arctic built them where the landscape had few distinguishing features. Students shape clay to build a standing structure. 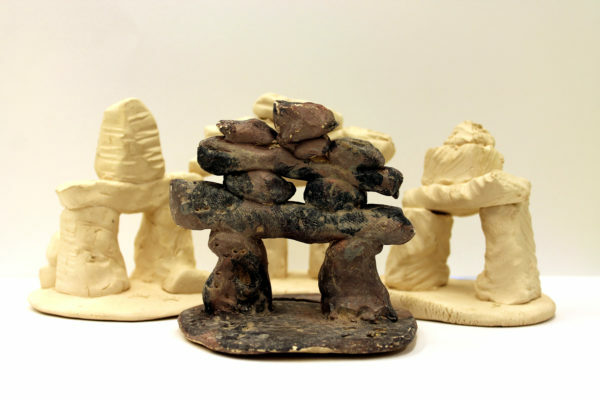 Complements of The Inuit program at the Museum.